I live in San Francisco CA in a rent controlled apartment. My lease renewal contains a provision that requires me to pay 2000 dollars as a fine for an early termination of the lease. The original lease (I’ve lived in the apartment for 12 years) states 300 dollars as a penalty for early termination. Can the landlord make this change in the penalty amount? The agent representing the owner asked me for documentation if indeed the law stipulates he cannot. Can you help find it? 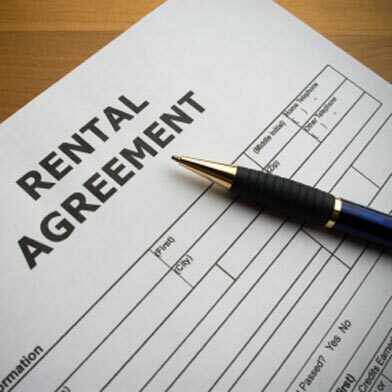 Another provision added to the new lease is a requirement of rental insurance. I feel it’s a good thing and I don’t have a problem getting some. I wonder, however, if the landlord can indeed add new provisions and requirement to a renewal of a yearly lease agreement first signed 12 years ago? I’d greatly appreciate it if you can answer these questions for me for I feel at loss when looking at my lease renewal as I don’t know whether I should sign it or not. The clause certainly seems to be material. After all, it increases the original fee from $300 to $2000. But the landlord can’t evict you because, presumably, you’ve either given notice to vacate or you’ve already moved out. The key here is to look at the clause and determine when the payment would be due. If that has changed in the new lease, meaning if there is some new requirement to pay the fee before you move, you can comfortably tell the landlord, through his barely competent agent, to stick that clause in his orifice most closely evolved to receive it.